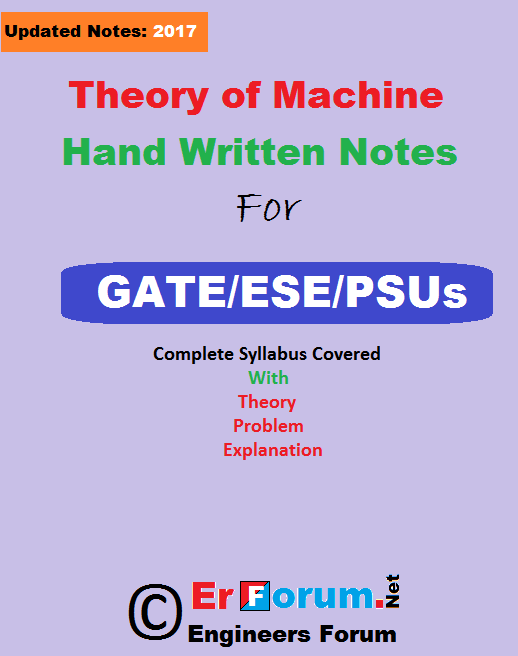 Theory of Machines: Displacement, velocity, and acceleration analysis of plane mechanisms; dynamic analysis of linkages; cams; gears and gear trains; flywheels and governors; balancing of reciprocating and rotating masses; gyroscope. Vibrations: Free and forced vibration of single degree of freedom systems, the effect of damping; vibration isolation; resonance; critical speeds of shafts. Buy this note @Rs 60/- Only.